Dairyland Power became a national leader in 2016 when they began implementing a plan to develop up to 25 megawatts (MW) of solar power. This project makes Dairyland a national solar leader with one of the largest solar projects of any rural electric cooperative, nationwide. Click here to read more, watch a 1-minute video and view a series of 13 photos and a Map of Dairyland Power Cooperative Solar Project Sites. Rural Solar Success Stories is hosted by the Environmental Law & Policy Center (ELPC). ELPC is a Midwestern legal and policy advocacy group that works for renewable energy in many ways, including as a leading supporter for the energy programs of the Farm Bill. According to NRECA’s data, 352 cooperatives in 43 states utilize solar as a source of power, including 7 in Nebraska, 10 in Iowa, 37 in Minnesota, 19 in Wisconsin, 1 in South Dakota, 22 in Colorado, and 3 in Kansas. Click here to link to NRECA’s Solar Map. 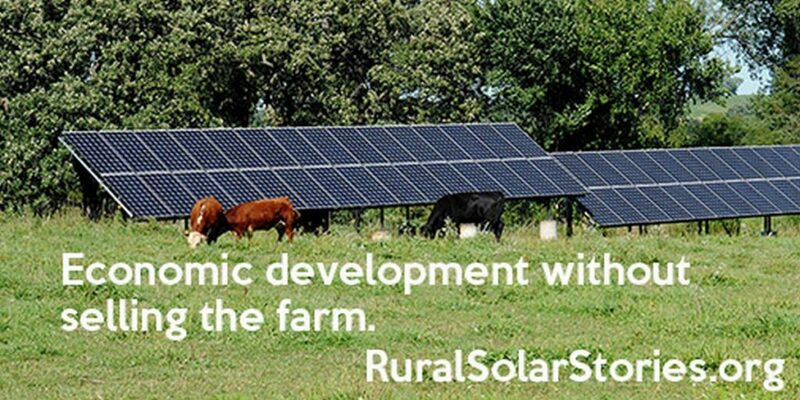 Scroll down and click on any state to learn more about rural cooperatives’ utility-scale and community solar development nationwide. This entry was posted in Nebraska / Midwest News, NewsBlog and tagged Environmental Law & Policy Center (ELPC), National Rural Electric Cooperative Association (NRECA), Nebraskans for Solar, Rural Electric Cooperatives, Rural Electric Cooperatives & Solar Energy Development, Rural Solar Stories.Org on April 15, 2017 by Helen Deffenbacher. 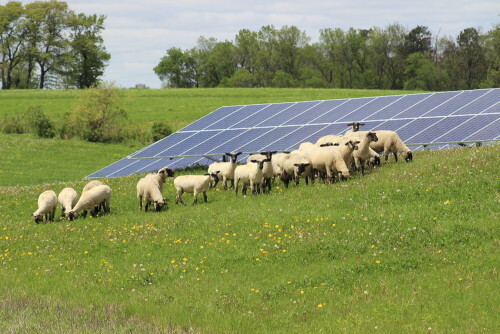 In Wisconsin, where state regulators and utilities have been perceived as cool to renewable energy, rural cooperatives are making major investments in solar power. According to solar installers and experts, co-ops, which aren’t subject to regulation by the state’s Public Service Commission, are being more responsive to their customers’ interest in solar . . . “It’s really impressive to see all over the country how cooperatives are embracing solar and finding new ways to implement it,” added Andy Olsen, with the Environmental Law & Policy Center. This entry was posted in Nebraska / Midwest News, NewsBlog and tagged Midwest Energy News, Nebraskans for Solar, Rural Electric Cooperatives & Solar Energy Development, Vernon Electric Cooperative in Wisconsin, Vox on March 16, 2016 by Helen Deffenbacher.